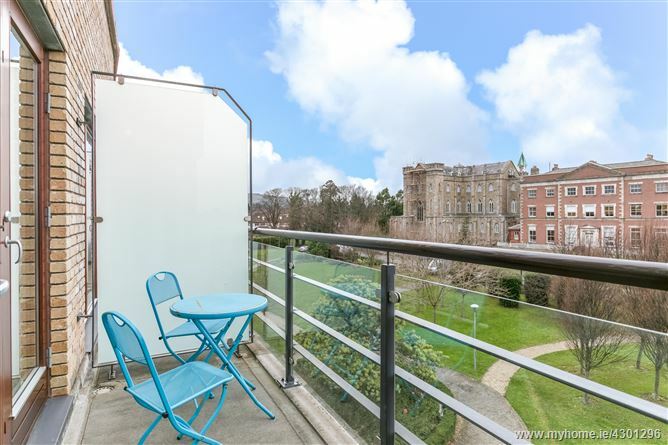 DNG are delighted to present an immaculate one bedroom, third floor apartment with impressive views of the historic convent and green area. 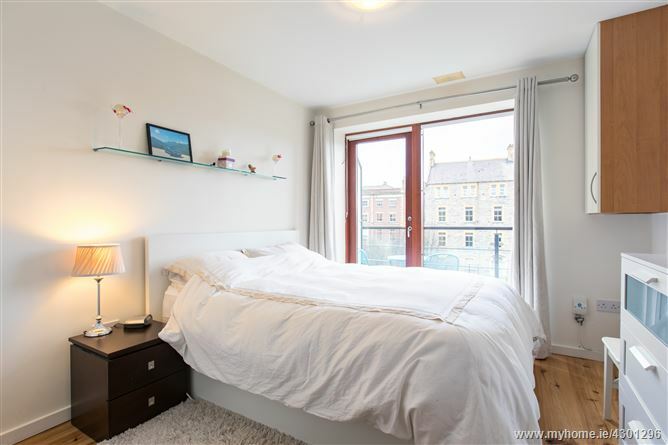 Located in the quiet and picturesque grounds of Loreto Abbey situated off the Grange road. 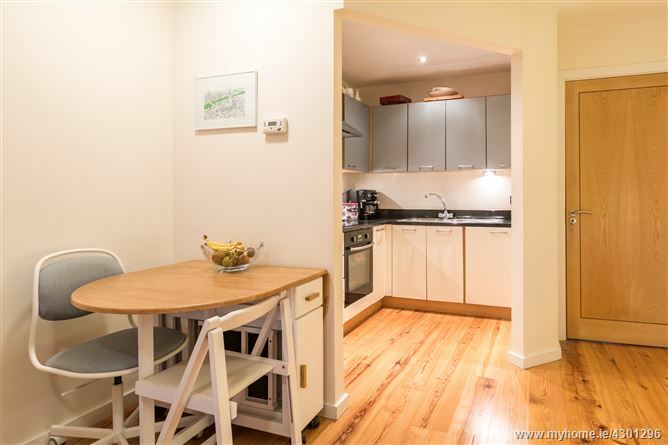 This apartment is excellently proportioned with open plan living/dining room, kitchen, one double bedroom, bathroom and utility area with washing machine plumbed. Awash with natural light this apartment enjoys a west facing balcony with late afternoon sun captured through the floor to ceiling windows in the living room. Finished to an excellent standard with touching finishes such as solid oak floors, granite worktops, down lights and fitted wardrobes. 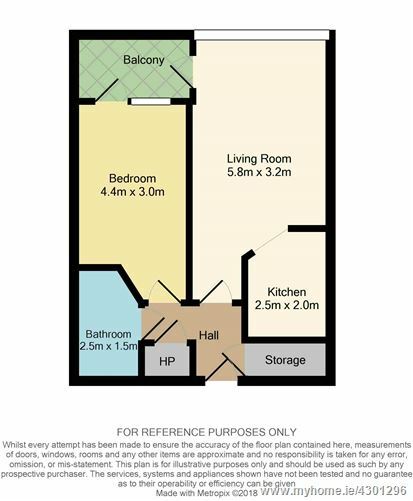 The apartment includes one designated under-ground car parking space. 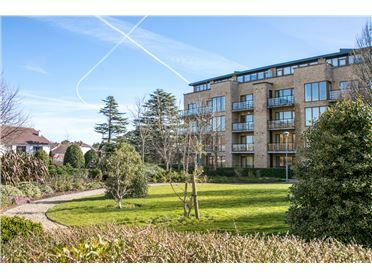 The location is excellent, within walking distance to Rathfarnham village with superb shopping and leisure facilities. Excellent public transport found on the doorstep on the Grange road with an array of Dublin bus routes - 16, 61, 17 & 75 covering city centre and surrounding Dublin areas. Marley and St. Enda’s parks are great public amenities at your doorstep. 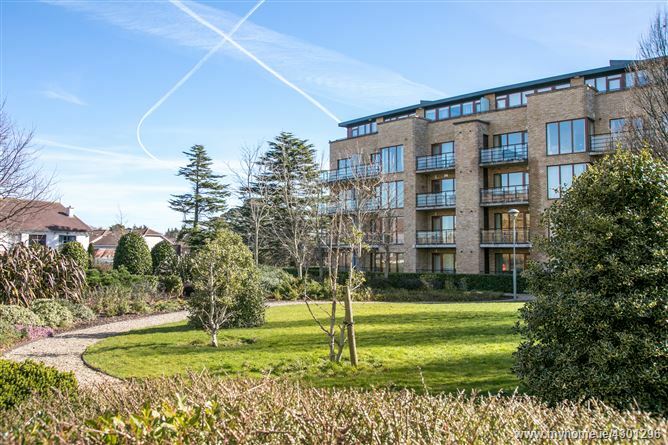 A selection of shopping facilities are also readily accessible, including Dundrum Town Centre, Nutgrove and Rathfarnham Shopping Centres. 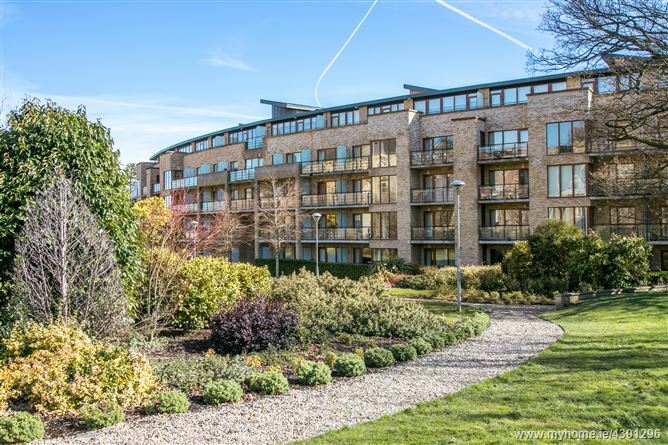 The M50 and city centre are within easy commuting distance. 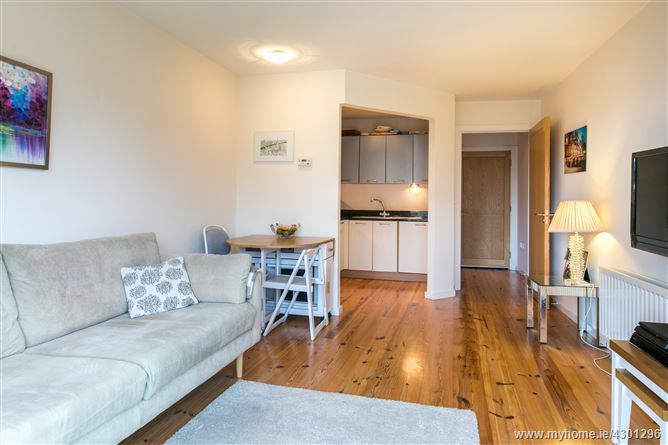 Solid oak floor finish, floor to ceiling windows, access to kitchen, solid doors. 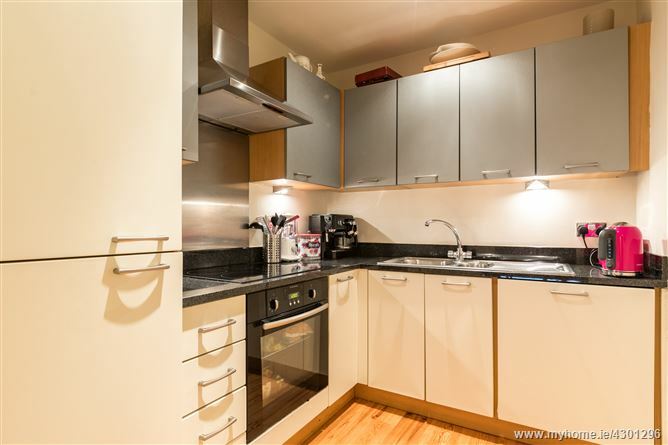 Fully kitchen with granite worktops, solid oak floors. 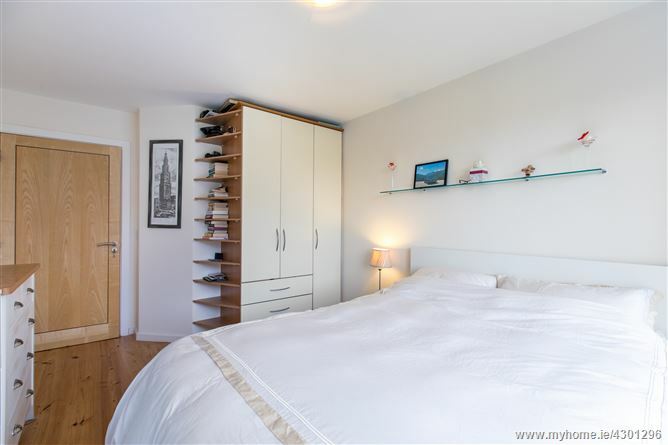 West facing bedroom with access to balcony overlooking green, solid oak floor, fitted wardrobes, shelving, solid doors. 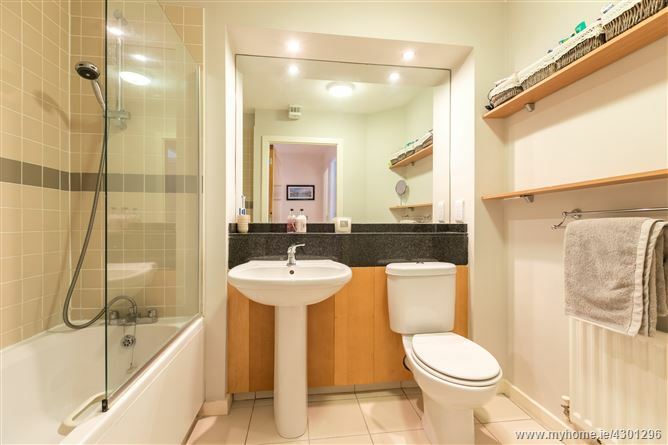 Fully tiled with bath, splash back tiles, shelving unit. 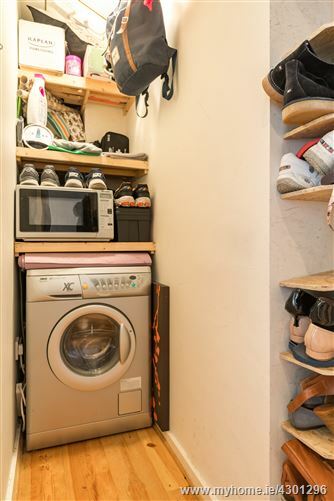 Plumbed for washing machine, additional storage shelves.